We’re all in this together. Our actions affect others and their actions affect us. As one suffers we all suffer. As we and others sow, so shall we and others reap. Manifesting consciousness produces effects in the world. Each individuated unit of consciousness is a portion or segment of will. Alignment of our will with Higher Will produces Right-Action. 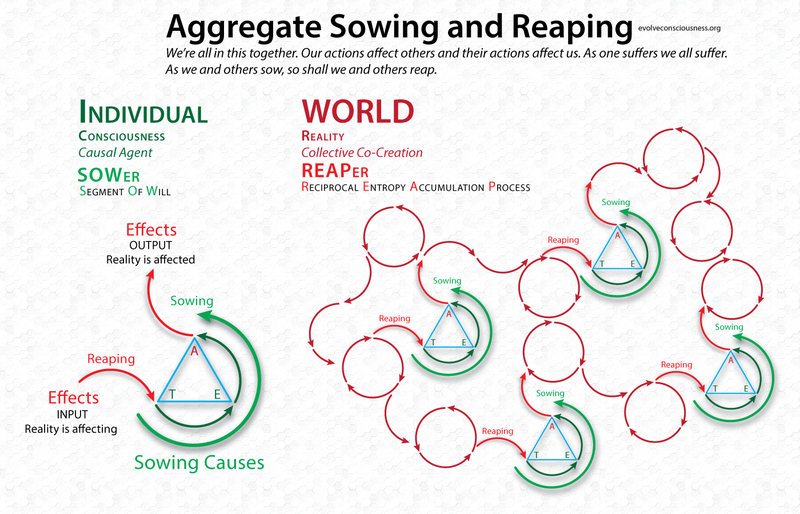 Effects produced go out into the world and interact with other manifestations to reciprocally affect us all. Rejection of Truth, Morality & Natural Law Will reciprocates as chaos or entropy.